LG Electronics and Infineon Technologies AG have teamed up to bring Time-of-Flight (ToF) technology to self-lovers on smartphones around the world. 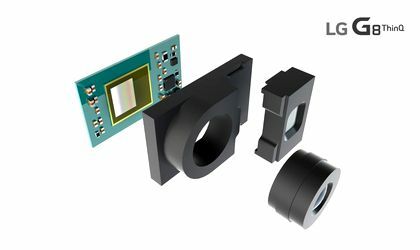 The Infineon REAL3TM image sensor microchip, which will play a key role in the front camera operation of the new LG G8 ThinQ, will be unveiled in Barcelona at Mobile World Congress 2019. Using Infineon’s expertise and ‘pmdtechnologies’ in the field of algorithms for processing 3D Dot Clouds (a set of 3D Dot Info Points), the innovative sensor will bring the front camera on your smartphone to a whole new level of capabilities. While other 3D technologies use complex algorithms to calculate the distance between the lens and an object, the ToF image sensor microchip provides a more accurate measurement, capturing the light from the infrared spectrum reflected by the subject. As a result, ToF has greater efficiency when ambient light is increased, reducing application processor load and hence power consumption. Due to its reduced response times, ToF technology is widely used in various biometric authentication methods, such as facial recognition. In addition, since ToF technology visualizes objects in 3D without being affected by external light, it offers an excellent recognition rate in both indoor and outdoor spaces – ideal for implementation in augmented reality applications (AR) and virtual reality (VR). The world’s leading manufacturer of power semiconductors, Infineon is a recognized company for its technological excellence in sensor solutions. The German microchip maker allows to build very reliable applications in the field of automotive, energy management and digital security. The company has developed ToF technology from the LG G8 ThinQ for use in both premium and mid-range smartphones. The LG range that will be launched boasts unique features that are only possible thanks to ToF technology, such as the improved Bokeh function. Using the camera’s proprietary LG algorithm, the 3D sensor can easily distinguish human subjects from background objects, allowing users to make more eye-catching self-esteems using varying levels of blur.